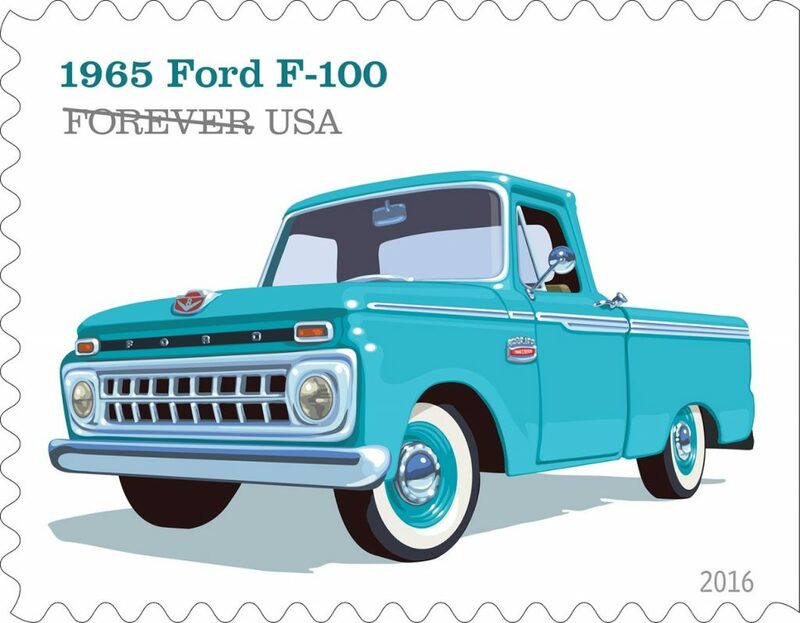 The history of the pickup truck is being celebrated in a collection of four new, first-class postage stamps from the United States Postal Service, and two of the four will feature classic Ford pickup models: the 1948 Ford F-1, and the 1965 Ford F-100. The 1948 Ford F-1 bears the distinction of being the very first half-ton F-Series ever made. It was built from 1948 to 1952, propelled by either of two flathead engines – a 226 inline-six, or a 239 V8 – with a 3- or 4-speed manual transmission. The 1965 Ford F-100, meanwhile, was the fifth model year of the fourth-generation F-Series, but it’s historically important because it debuted the “Twin I-Beam” front suspension setup – an innovative design which would continue to underpin the truck all the way through 1979, and is still used on some Ford vehicles today. Both of these new first-class stamps were illustrated by Chris Lyons, whose long list of notable clients includes Road & Track magazine, interestingly enough. They were designed by USPS Art Director Antonio Alcalá.